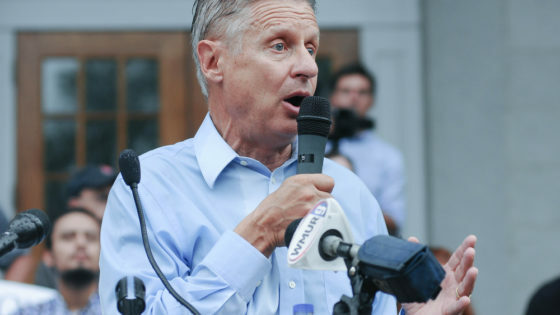 In a recent interview for IVN, Gary Johnson consultant Ron Nielson said Johnson “would be a fantastic senator” if he chose to run in 2018 against New Mexico’s Democratic junior senator, Martin Heinrich. When I recently had a chance to speak with Ron and ask him about Gary Johnson's political future and the future of his non-profit organization, Our America Initiative, I had to ask about the 1,400 mile Tour Divide Bike Race through the Rocky Mountains that Johnson recently competed in. A presidential bid- especially by a serious third party contender fighting an uphill battle against the road blockades set up by the entrenched two party system- is an incredibly exhausting and draining campaign. Most people would take some time to rest after months of such a vigorous and demanding schedule, but Gary Johnson, at the age of 64, recharged his batteries with a 1,400 mile bike ride through the Rocky Mountains. I just had to ask Mr. Nielson, "Interacting with Gary Johnson on a daily basis, can you tell me what the man is eating? Because I'd like to have about half the energy he has. I'd be happy with that." Laughing, Nielson answered, "Gary is very driven. He commits to things and follows through. He commits to a bike ride across the country and that’s a done deal. He’s going to finish it. That bike ride was on dirt the entire way. And he had to carry all his own stuff, and fix his bike when things broke." I Predicted This in 2010!